Every baker and breakfast lover should have this to reduce mess in the kitchen! 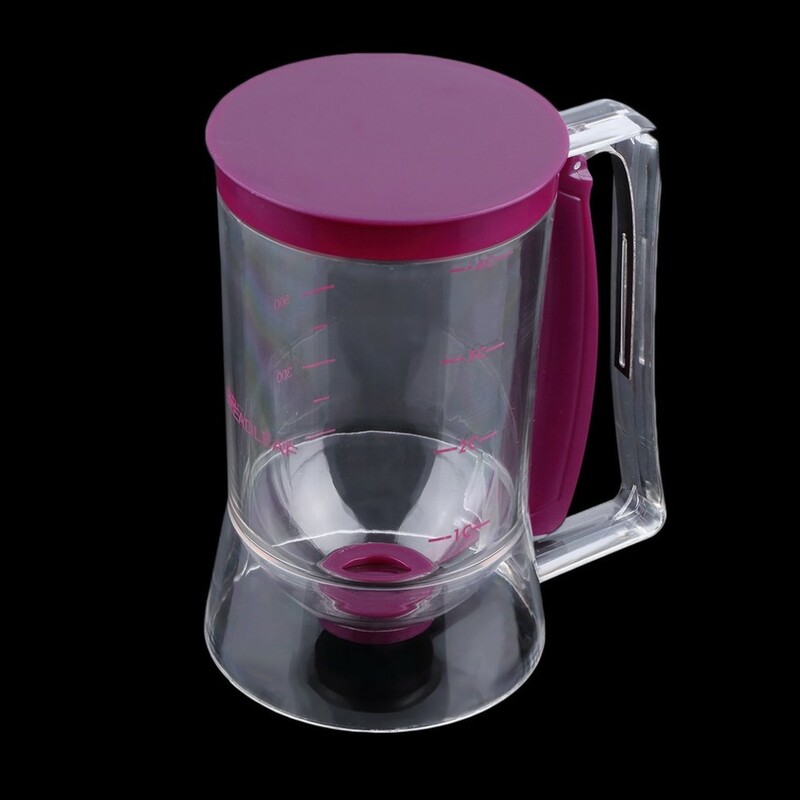 It can be used for making Pancakes, Cupcakes, Muffins, Waffles, Crepes, Sauces and more. 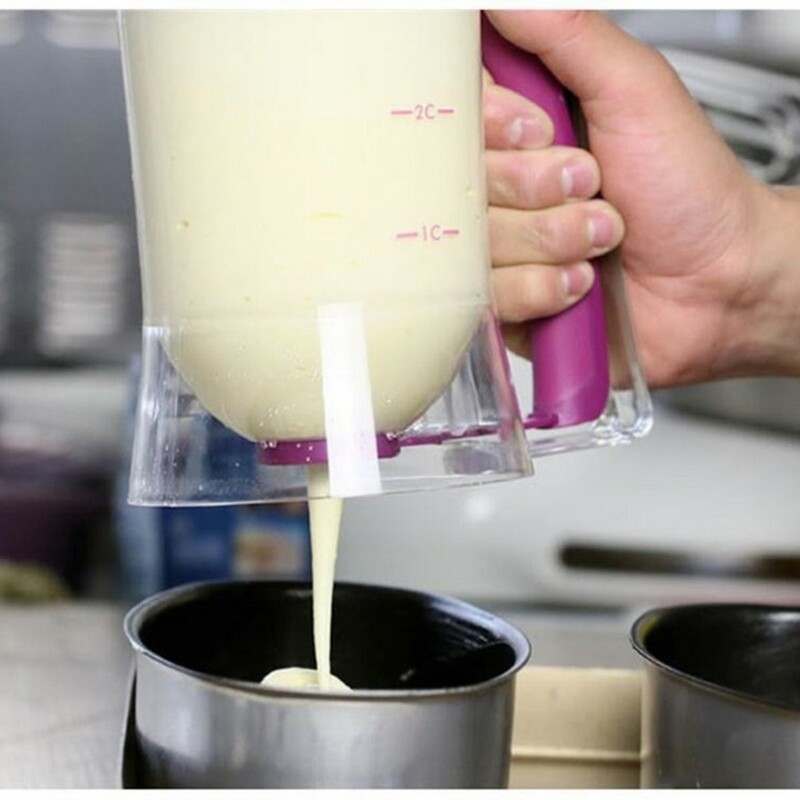 It can hold up to 4 cups or 900 ml of batter and can be simply operated by pulling the handle. 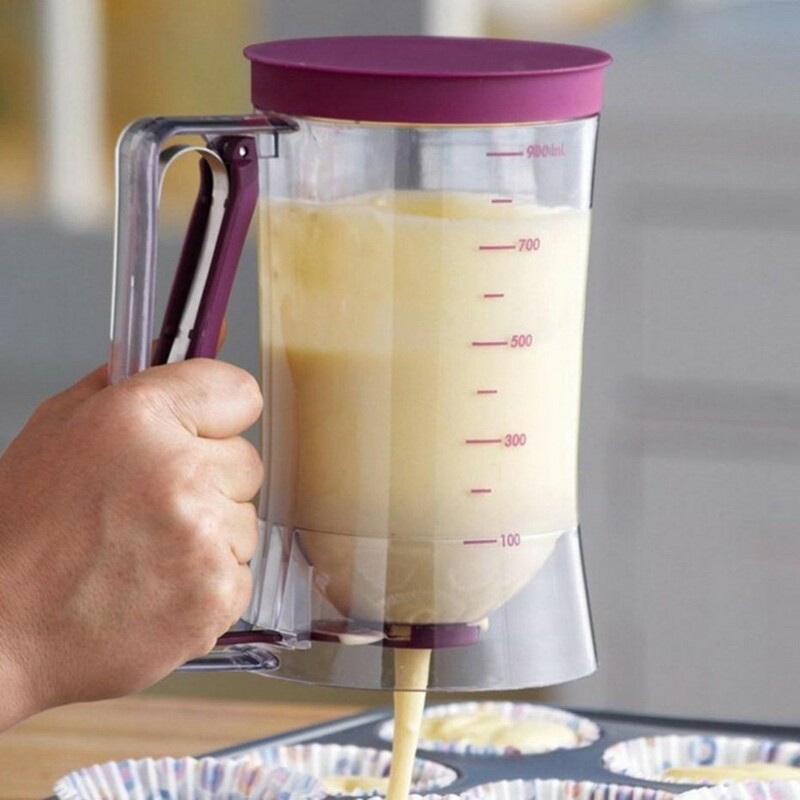 Easy to use and helpful to pour the batter or cake mix to molder. 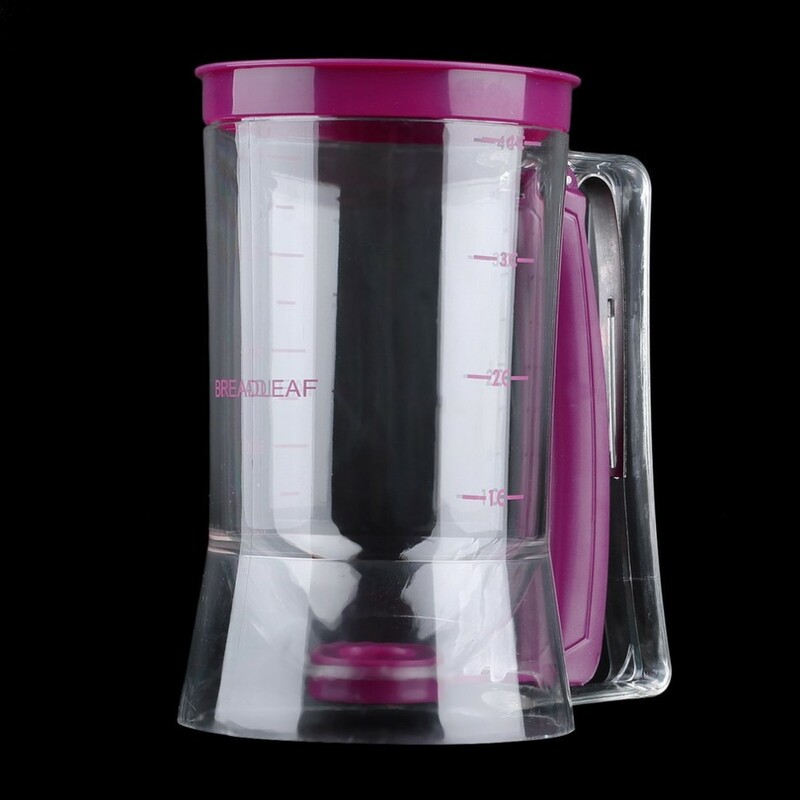 It's easy to clean and is also dishwasher safe. It's a great gift for your favorite baker!